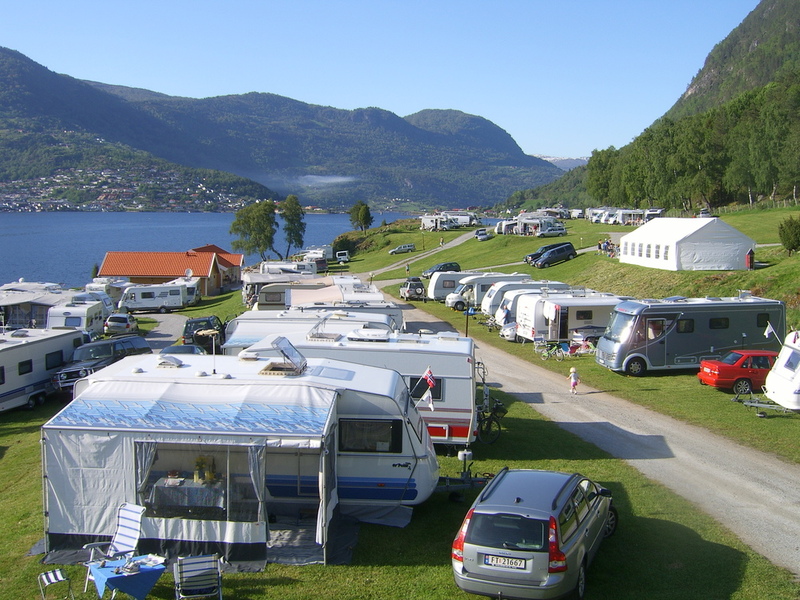 Kjørnes Camping is nicely situated by the Sognefjord, 3 km from the centre of Sogndal. By the central location in the middle of Fjord Norway and by main road 5, Kjørnes Camping is a perfect starting point from where to explore the Sognefjord and its surroundings. You`ll drive to lots of National attractions within one hour. Service buildings contains 5 star sanitary facilities, kitchen and laundry. The site is situated in quiet and picturesque surroundings, more than 1 km by the shore line. Separated pitches for motorhomes. 55 paved pitches. Dogs are allowed, but has to be kept on a line - disposal has to be picked up. Smoking is not allowed anywhere inside our buildings.